Everyone is searching for more shares, likes, tweets, retweets, etc. for their content. However, in today’s world of content marketing, relevant shares can be more important than just any share. What do I mean by this? It is all about quality over quantity. It isn’t just enough to have bot accounts share your content a thousand times for it to be relevant. Instead the accounts that share your content should be authority figures or relevant to the subject matter. So how do we ensure that a percentage of our content is seen and shared by these relevant people? Spend time before you create content to see what types of influencers are out there. Tools like BuzzSumo, Nuvi, and SocialRank all allow for content and influencer research at a fair price. For instance, if you were to write a blog post about pizza, you could use one of these tools to search all of the people influential about pizza. You can then ask them for a quote to put in your blog, or add them to a list of people to send the content to once it is published. You can also use content marketing platforms like ClearVoice and MyBlogU to create better content, build relationships and brainstorm with writers. Knowing who has the greatest impact on your content and it’s reach before you start writing it is key. Using a calendar to track when your content will go live, when you will share it, where you will share, how often you will share it, and how many clicks came from each place is essential. 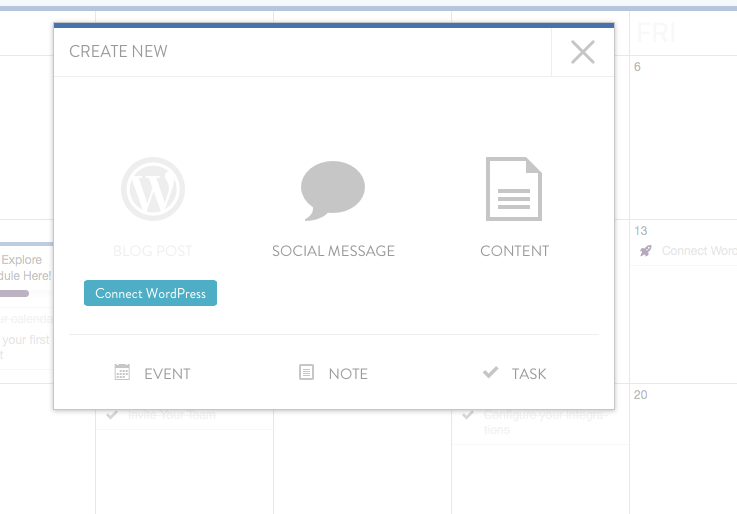 Tools like CoSchedule all you to track all of these things and right within your WordPress dashboard. You should also post your content more than once and use varying text promotions. Spread out the posting days and times to test. You can see in the image below how simple it is to add events, content, social posts and more to your calendars. Sharing networks are the best way to ensure that your content is shared by people who understand your content and talk about it regularly. This is done through adding links by category and having a community of people who search for certain categories, and share throughout their social media profiles. Traditional and necessary tools for this are Reddit, or Digg. You can also use platforms like ViralContentBuzz and Klinkk to easily add your content to a topic and allow for others to find it and share. A new social sharing community Babbly is also a vital tool to use. You simply add your link, select your category, and then set your number of shares. 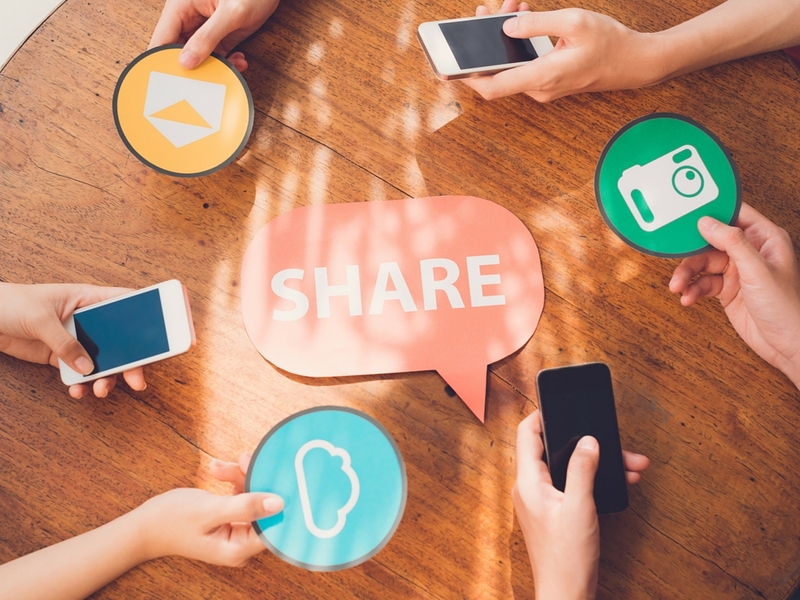 You earn the ability to have more shares of your content by sharing other’s content. For instance, I have 24 shares available and I can either use them all on one post or split them up among a few. Babbly is a good tool to gain more social shares and get more traction and buzz for your content. Keeping track of the content your share on social media is not as easy as it seems. When posting to social media we have to be aware of things like “dark social.” Dark social is what happens when we share a link to Facebook, Instagram, or other social media channels and a person shares the link via SMS, Email, etc. When this happens the link does pass a referral source and the visit or share will show as direct traffic in Google Analytics. To avoid this and gather as much accurate data as possible, we need to use link builders and link shorteners to track content. Another option is to use a social media platform like Oktopost to measure and track your social interaction. Oktopost will help you determine if you are ROI possible, as it can analyze your social media campaigns and measure their impact on your business. You can also use Chrome or Firefox plugins, such as Discover.ly to show how many shares a webpage has received. This is also great for competitor tracking. In some cases we need the opposite help; we make social media posts that can harm us. For businesses, reputation management, information protection, and obeying laws are imperative, but employees using social media can easily undermine these efforts. With Social Media real time protection technologies like SecureMySocial, businesses can give employees a tool that will alert the employees if they make social media posts that can cause problems. If employees allow, SecureMySocial can automatically delete such posts. Using this real time solution can help a brand avoid a reputation management issue or regulatory violations, and can protect employees from harming their careers or getting into trouble in other ways. If your content did not perform well, find out why. Test it and ask yourself, “What could we have done differently?” Using tools like Title Tester will help you test your content titles for optimal click-throughs. You can also use tools like Potent to help you come up with new ideas or expand on ideas that you already have. On the other hand, when content performs really well, make sure that you research and find out why. Who shared it? Where did the greatest reach come from? If you don’t know why the content did well you wont be able to replicate the process. Remember, happy accidents don’t make sense for great marketers. Good points you brought up! I’ve used Buzzsumo but never Nuvi or SocialRank, so I’ll need to try them out! First of all thanks for sharing this information, Great article Good points you brought up! I’ve used Buzzsumo but never Nuvi or SocialRank, so I’ll need to try them out! Nice tips to share content on social media. I am using crowedfire for sharing content on twitter, facebook, google plus etc.